If you have been newly diagnosed with glaucoma or you are a glaucoma suspect, you may want to have a list of questions to ask your doctor. Be prepared to write down the answers you receive. In addition to taking your own notes at the doctor's office, keep a journal of anything you experience such as drug side effects (what and when) so you won't have to rely on memory at your next appointment. A newly diagnosed person with glaucoma may benefit from frequent eye pressure monitoring. Having your eye pressure checked frequently and at different times of the day initially can help you and your doctor find the ideal treatment regimen. Initially I supplemented visited to my ophthalmologist with visits to a friendly optometrist who checked my eye pressure every week. That was over a decade ago. Today my ophthalmologist, inspired by work done by the FitEyes community, loans a handheld eye pressure monitor to his patients. This is a wonderful advance in glaucoma care to allow for very frequent eye pressure monitoring at home. Unfortunately, home eye pressure monitoring is still relatively rare. However, it doesn't hurt to ask your doctor if he or she is familiar with home monitoring. You might just be surprised and find that your doctor, like mine, is willing to loan you a device to get you started. Many FitEyes members have purchased their own professional instruments to perform ongoing home monitoring. But if you are newly diagnosed, you probably want to educate yourself before contemplating such a decision. In this article we will stick to the topic of questions you can ask your ophthalmologist. First, find out something about your doctor's training. Ophthalmologists are medical doctors (M.D.s) who specialize in eye care and have completed four years of college, four years of medical school, an ophthalmology residency and possibly additional training. About the highest level of training for a glaucoma specialist is a glaucoma fellowship. My own doctor is unique in that he has completed two glaucoma fellowships (one was clinically oriented and the other was research oriented) and in each case he studied under a top expert. It would be useful to ask your doctor where he or she completed their glaucoma fellowship. Some ophthalmologists specialize in glaucoma without having completed a glaucoma fellowship. If this is the case, you can ask about their advanced training in glaucoma. An optometrist (also called a Doctor of Optometry or O.D. in the USA) is an eye doctor who has completed pre-professional undergraduate education in a college or university plus four years of professional education at a college of optometry. Most optometrists focus on performing eye exams and vision tests and prescribing eye glasses and contact lenses. None perform surgery (as they are not M.D.s). However, some optometrists complete an optional residency in a specific area of practice such as glaucoma. 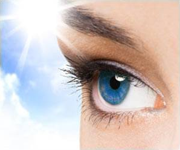 There are optometrists who are highly knowledgeable about glaucoma. I have personally received excellent care and advice from my optometrist. He is a key member of my medical support team. your It is important that your doctor responds to you questions, listens to your concerns and treats you with respect. Our position is that your doctor should be willing to explain your treatment options in a way that you understand. Many doctors earn their largest income from surgical procedures, so consider whether doctor fairly explains the treatment options that don't benefit his or her bottom line. If you do not feel confident and comfortable with your doctor, remember, you always have the right to seek a second opinion. A good working relationship with your eye doctor facilitates effective treatment. Will you provide me with copies of my test results? Which tests are planned for my future visits? Is it hereditary in my case? What should I tell my family about my condition? How soon do I have to begin treatment? If I wish to delay treatment for a few days while I educate myself further, what are the risks in doing so? What could happen without any treatment? How will I know if the treatment is working? Will you support initial frequent eye pressure monitoring? How often will I need checkups after my initial treatment plan is settled? In our experience as glaucoma patients, lifestyle factors are extremely important. These lifestyle factors could include exercise, stress management, meditation, diet, dietary supplements, and other things. Most doctors do not specialize in any of these areas. Most of us have had to learn about how lifestyle factors and glaucoma go together. That's what FitEyes is for. However, it doesn't hurt to ask your doctor about exercises (both those that are recommended and those to avoid). You can also ask about any other activities you should avoid or any special precautions you should take. In general, many glaucoma patients face few, if any, activity restrictions -- with the possible exception of inverted yoga postures or trumpet playing. However, even the inverted yoga posture restriction is somewhat speculative. Therefore, it pays to keep educating yourself so that you become your own expert on lifestyle and glaucoma. As a general rule, the single most important medical treatment you take advantage of to reduce your risk of further glaucoma progression is to further reduce your IOP (even if you have NTG!). And the best way to do that is to monitor your IOP at home so you really learn how it behaves. The most important lifestyle (non-medical) factors include proper sleep, moderate exercise, stress management, meditation, diet, dietary supplements. The fact that IOP is not in that list simply reflects the fact that those are the more fundamental underlying factors. But IOP remains the only medically treatable risk factor for all types of glaucoma. and, of course, genetics. But DNA is not destiny. There is not a fixed one-to-one relationship between a gene's coding region and the protein that is produced. So don't conclude that there is nothing you can do if you have "glaucoma genes". Our lifestyle alters the expression of our DNA. Utilize your doctor's support team. The trained staff at your doctor's office, such as nurses and technicians, can be an enormous support to helping you manage your disease. These knowledgeable professionals can often give you the information, time, and attention that can make a big difference. You can have your own support team too. For example, you may want to bring a friend or family member to your appointment to help you capture all the information. This can be especially helpful if your diagnosis is recent, since the diagnosis may create a shock-like state that makes it hard to absorb all the information the doctor provides.